What’s a person who loves the outdoors to do? Many people look to the mountains for snow. Or hole up in a coastal motel and watch the whales. But what if setting in a motel room or sliding down a snowy hillside is not your thing? You need options that bridge the gap between rugged outdoor camper and motel creature comforts. I’ve found such place. For the second time I’m staying at Camp Dakota. 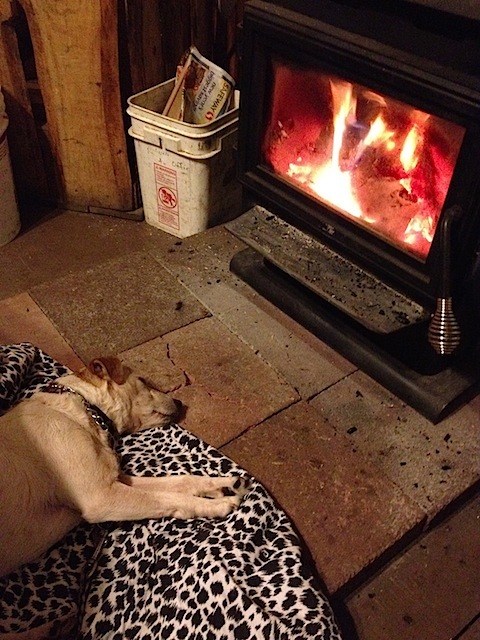 As I write this blog post I’m sitting at a small dining table, surrounded by music while my Jack Russell Terrier named Buddy sleeps near the wood stove enjoying a dog’s version of dreamland. All this in a cozy, well lighted, Yurt with over 300 square feet of space. This isn’t your typical Oregon State Park yurt. It nicely bridges the gap between camping and a motel. Just enough creature comforts without losing the rustic outdoor environment I love. When evening comes I’ll take a break from my writing and fire up the four-burner gas bbq located on the deck just outside my door. I’m planning on steak for dinner but I’m not above a hot dog if the mood hits me. When it’s time to call it an evening I’ll crawl onto the blanket laying over the queen size mattress then pull my down sleeping bag over me. Camp Dakota is my slice of heaven when I need to get away. 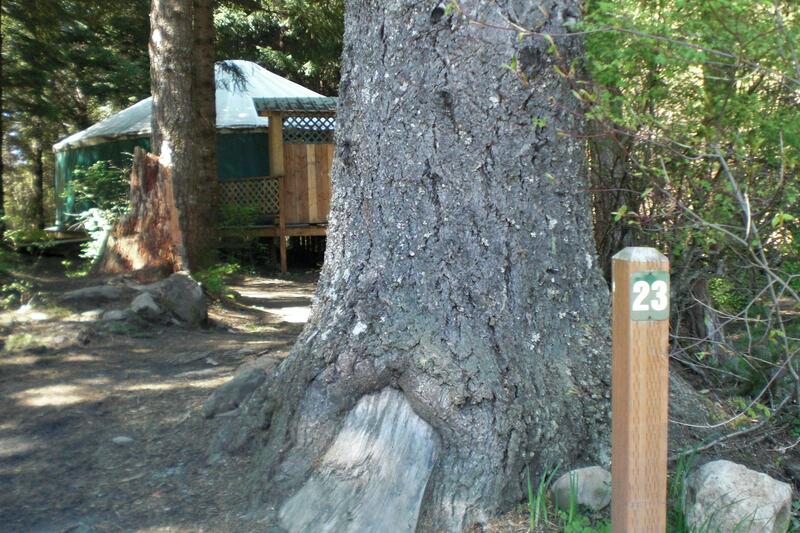 The campground is owned by the John and Jenifer Winslow who started the camp from scratch. It taken time, money and a lot of work with the county zoning authorities who tend to assume that answer to “We would like to…” is no. But time an effort have resulted in not only a nice winter and spring getaway but a thriving summer campground full of activities that are not available at any other place that I’m aware of. You can read the full story of the campground here. Suffice it to say there is a lot of passion and care of ownership at Camp Dakota. Customer service actually means something here. I don’t have room to fully detail all the things available in Summer. This is best done by visiting the Camp Dakota website. For the time being Camp Dakota will continue to be my winter and spring get away. The place I go to reflect, contemplate, plan and just plain old relax. I generally keep a pot of water setting on the wood-stove for tea but today is different. Soon John, one of the Camp Dakota workers will arrive with a fresh load of wood and a steaming hot 4-shot mocha. Yeah, life is good! Nice blog post. You and Buddy must have had a good time. Writing is truly your gift. Thanks. I appreciate the encouraging words!